The new SCAN TOOL also has several new screening parameters to include both fundamental factors (Piotroski Score) and momentum factors (Mohanram Score) along with Zack’s rankings. The price chart is contained within the shaded area which represents 2-standard deviations above and below the short-term moving average. 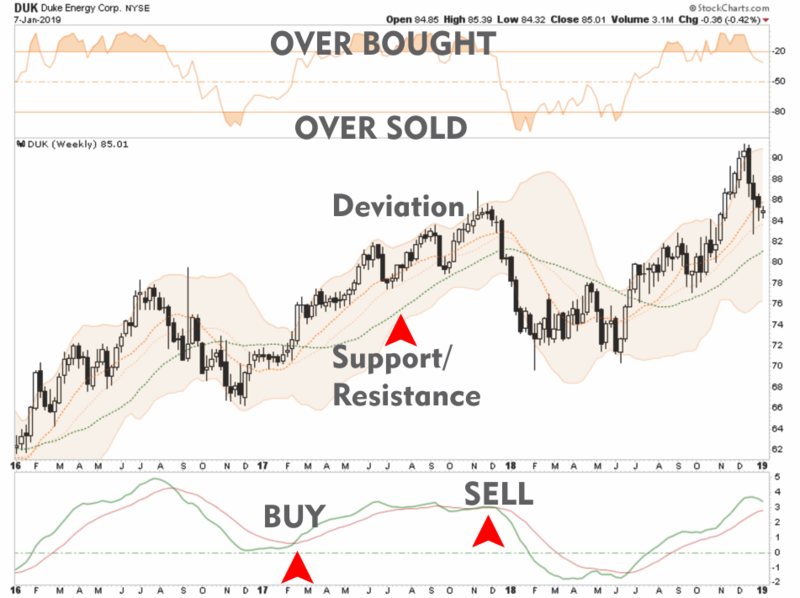 The Over Bought/Over Sold indicator is in orange at the top. The Support/Resistance line (green) is the longer-term moving average which also acts as a trailing stop in many cases. The Buy / Sell is triggered when the green line is above the red line (Buy) or vice-versa (Sell). DAN recently broke above resistance on a buy signal but was unable to hold that breakout. With a bullish crossover of moving averages, and the buy signal still in place, there is a potential for a move higher. 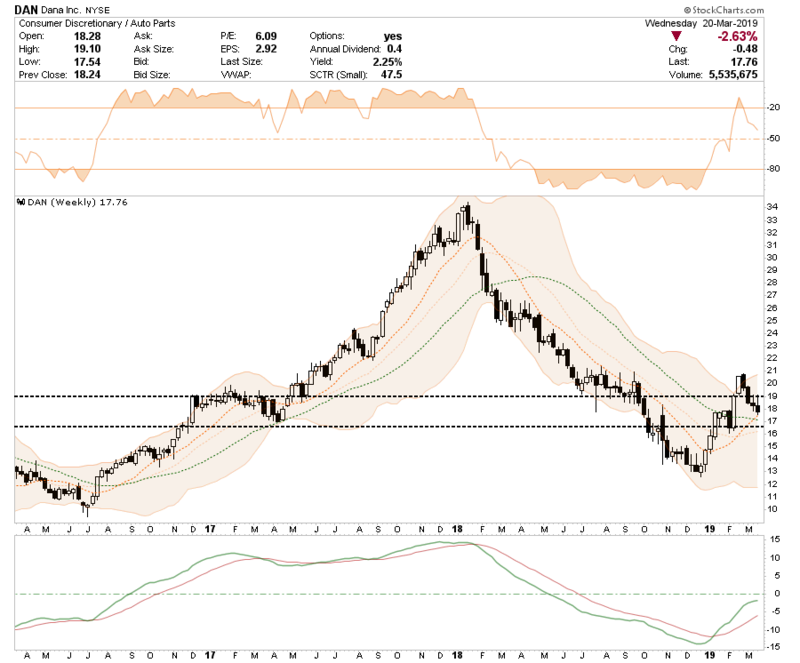 With oil prices moving up in the short-term, COG has risen as well breaking above resistance. Currently, COG is pushing 2-standard deviations above its intermediate term trend so scaling into the position makes some sense. Buy 1/2 position now and 1/2 position on a pullback to $25.50 that holds. 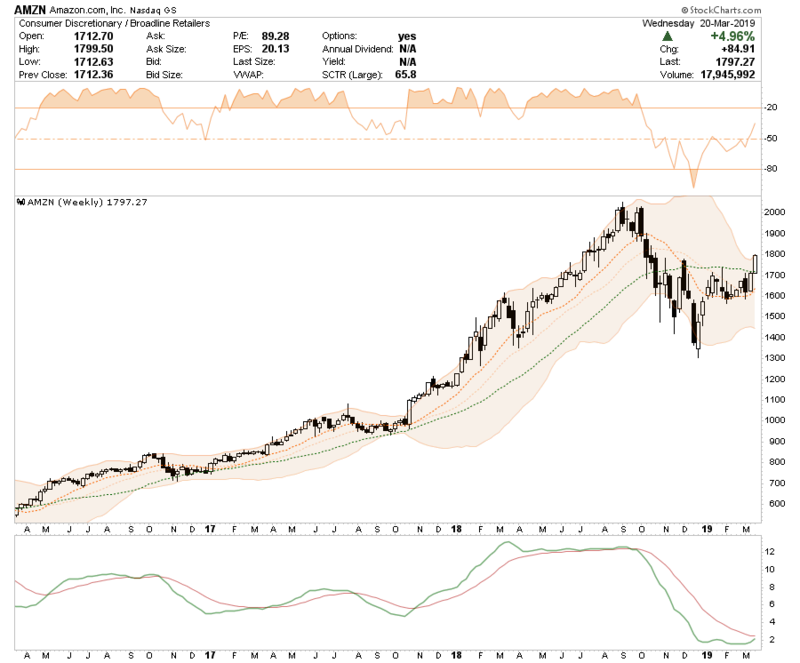 AMZN is close to triggering a “buy” signal and broke above its longer-term moving average last week. Buy 1/2 position at current levels. Buy 1/2 position on a pullback towards $1700 that holds. 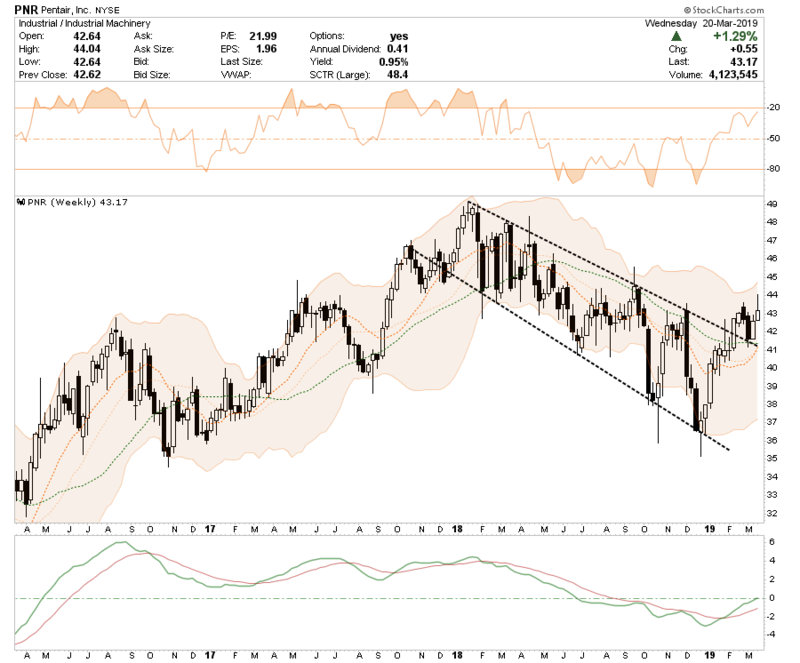 PM – Phillip Morris Int’l Inc.
PM recently broke out of a 2-year broad downtrend channel. On a buy signal currently, but very overbought, look for a pullback to the top of the downtrend channel that holds to add a trading position. PNR also just broke out of a downtrend and triggered a buy signal. 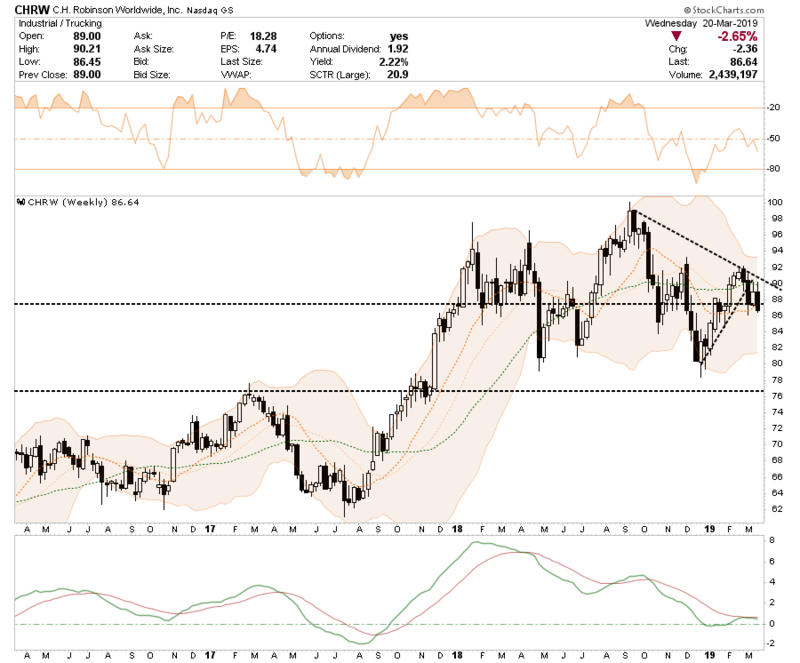 After a successful retest of the breakout, it is looking move higher above resistance at $43.50. As the global economy weakens, it is a threat to international companies like CAT. 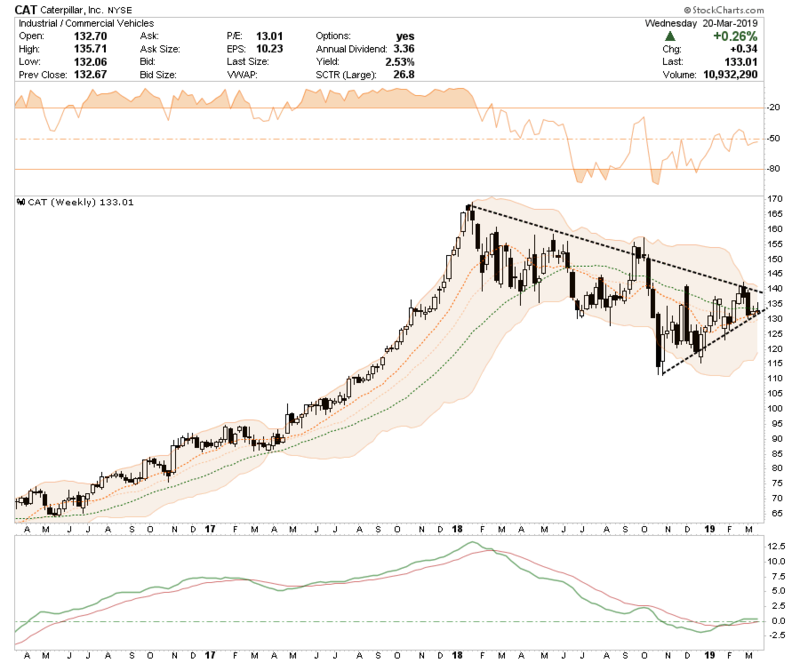 In a very tight wedge consolidation, a break to the downside could derive a much bigger decline for the stock. CHRW – C. H. Robinson Worldwide, Inc.
A very similar setup and story as CAT above. 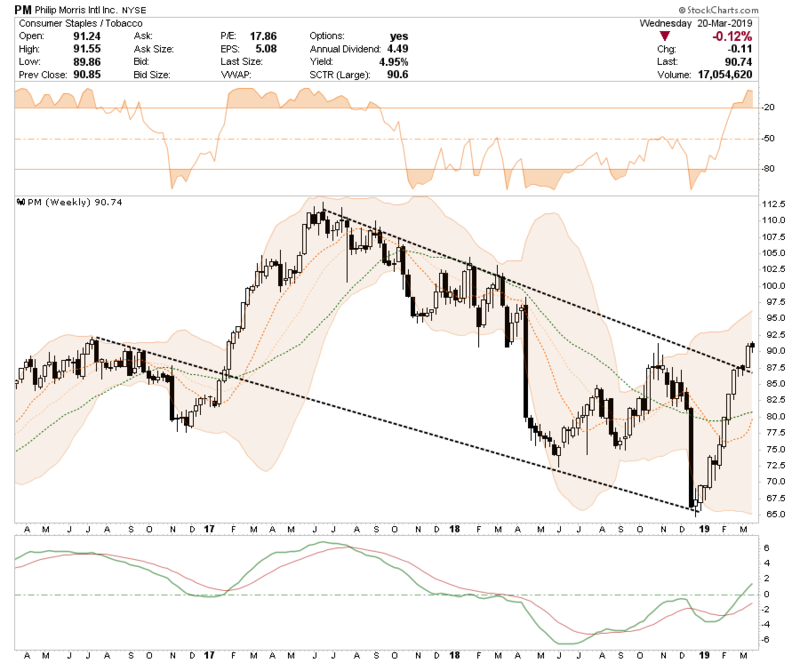 IP – International Paper Co.
IP has remained confined to a long-term downtrend currently. Also, like CAT and CHRW, it is affected by the global slowdown as well. The recent rally to the downtrend has failed. PVH has been struggling with a slowing consumer in the U.S. The recent failure at the downtrend line sets up a decent short opportunity on a break below current support. 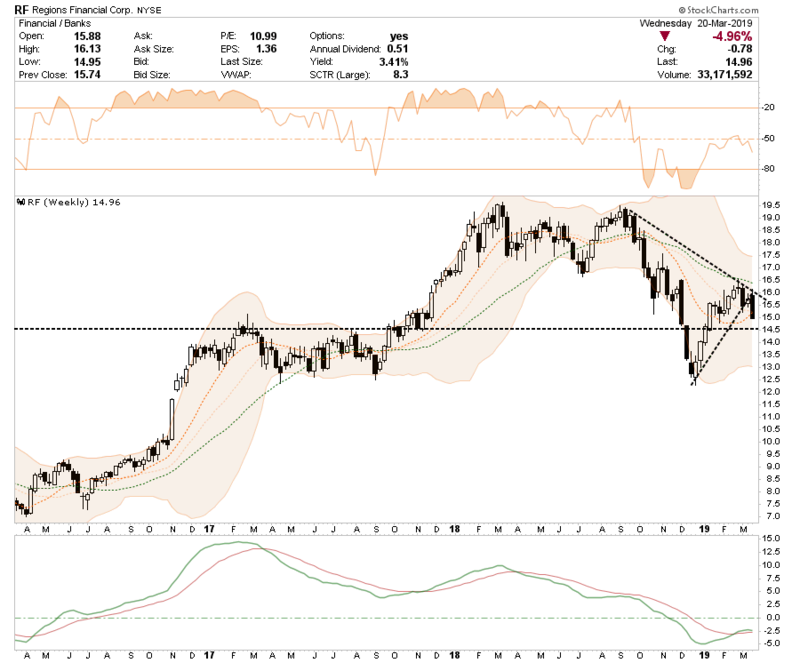 RF – Regions Financial Corp.
RF recently broke down out of the pennant pattern it was building and is close to triggering another sell signal.